Care notes and NHS Continuing Healthcare: inadequate evidence? In this article we’re bringing you 28 useful links from our website to help you apply and appeal for NHS Continuing Healthcare funding. NHS Continuing Healthcare is NHS funding that covers all the costs of care for people who meet certain criteria. It’s possibly the NHS’s best kept secret. Thousands of families are never told about this funding by the care authorities. It is not means tested – and your relative may be entitled to it. 4. What does NHS Continuing Healthcare funding cover? 5. In what places is NHS Continuing Healthcare available? 7. What are the different stages of NHS Continuing Healthcare assessment and appeal? 8. So will you be self-funding? In the middle of the NHS funding assessment process? 11. NHS Continuing Healthcare – should a social worker be involved? Just secured NHS Continuing Healthcare funding? 20. What happens after a positive Continuing Healthcare recommendation? 23. Why are elderly people wrongly charged for care? Going through an NHS Continuing Healthcare appeal? 28. Is it worth me appealing a Continuing Healthcare funding decision? Care To Be Different was set up by after the founder she won a tortuous four-year battle to secure Continuing Healthcare funding for both of her parents. Since then she has created one of the biggest online information resources specifically about NHS Continuing Healthcare – and specifically for families. The Founder has also written a book, How To Get The NHS To Pay For Care, to help families get through Continuing Healthcare assessments and argue their case. It shows you what to do – and what not to do – and it can save you losing everything in care fees. It’s easy to follow and cuts through the confusion to show you step by step how things work. My daughter’s partner suffered a severe Subarachnoid Haemorrhage a year ago last Easter at the age of 48 and was admitted to the Neurological Unit of the Hospital. On admission he was placed in an induced coma for 5 weeks. During his stay there he has had further problems with a build up of fluid and pressure in the Ventricles and has had a permanent shunt fitted to drain the fluid. He also has a further Aneurysm that will be treated at a later date. Last Friday at a Discharge meeting it was decided that he could be discharged to his home in a few weeks time. His home happens to be my daughter’s rented accommodation, however he does own his own home which has been deemed unsuitable for various reasons. He is able to sit on the edge of the bed and then be hoisted into a wheelchair. He can stand from the edge of the bed with the assistance of a device, He cannot walk at all and has difficulty standing. He has difficulty telling his limbs what to do – I think similar to Parkinsons disease. He often seems lucid, although he does have behavioural problems insofar he may do abnormal things to and with his food. He is able to use a self propelled wheelchair, albeit turning to the left at times. He is doubly incontinent catheter fitted. He is on several drugs to control blood pressure, anti clotting, Parkinson type shaking and Epilepsy type condition. As he needs suppositories my daughter has been told she is not allowed to do this as he cannot give consent due to his lack of mental capacity. It appears my daughter’s partner has been Initially Assessed at a meeting with his son, who is next of kin, his sister, my daughter, the medical team and someone from Social Services and the conclusion was he was not eligible for Continuing Healthcare. Reading your website is this assessment likely to be correct ? 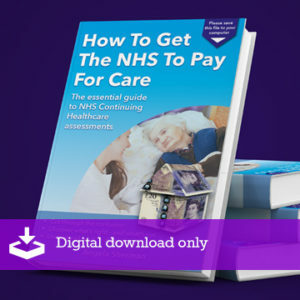 What, if any, are the alternatives with regard to my daughter’s partner’s house – does it have to be sold to pay for Social care if he is not eligible for NHS Continuing Healthcare. My mother had a non-age-related bleed caused by an abnormality in her brain, 6 months ago, as a result, has significant and unpredictable health needs and disabilities (too many to list). Thank you for the publication – it has been so helpful. After persistently being told “All care is means tested”, “you know the NHS is strapped for cash”, “your mother will not be eligible, I’ve seen people a lot worse than her not qualify” and finally one professional agreeing that if Mum was 40 (as opposed to over 70) there would be no question that NHS Continuing Healthcare (CHC) would be applied for”, I have decided to seek legal advice (taking into consideration all your guidance). The resistance from “so-called” professionals, even to start the process of applying for CHC is unending. It is a VERY lonely place to challenge inaccuracies and point out that failure to follow proceedure is unlawful, but I am determined to pursue this. Without your publication – I may well have given up!! Wish me luck!! Thanks for your very kind words about the information we publish, Alison – and well done for persevering through this process. The things you report are sadly not unusual. Hang in there! I have secured a reimbursement of NHS Continuing Care for my late Mother after four years of dealing with my claim. I wish to know whether the interest received on the reimbursement monies is subject to Income Tax. HMRC do not seem to provide any clear advice on the head of charge under which this might be payable and despite considerable research I have not been able to find any clear reference to this form of repayment. In particular the Redress Guidance does not provide any information. I appreciate the calculation is subject to personal circumstances but there must be a statutory authority governing whether or not Income Tax is payable. I would be interested to know the experience of others. Hello, I would just like to say well done for taking this up for your mother. I would like to find out if my mother is eligible for any help. She has dementia, amongst other illnesses. She is in a Care Home and this is the second one she has been in as the first one were not looking after her so I had to move her to another one. I am an only daughter and I am at my wits end, not knowing how to approach this matter of whether she could have any funding. She is self funding and has up until now spent in the region of £100,00 for her care. She does own a house, which I live in at the moment with my husband as we were looking after my mother here before she had to go into the home. Her money has now come down quite a lot and we have been informed that we will have to sell the house and we will have to find somewhere to live which is a worry for us at the ages of 56 and 66 respectively. I am my mother’s Deputy and sort all her finances out but am now very worried about what is going to happen. Could anyone help me at all please with some fast track advice. Thank you. 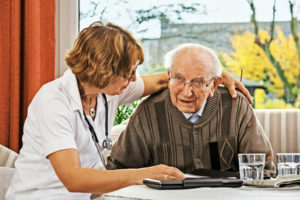 Sandra – this article will help you: http://caretobedifferent.co.uk/how-do-you-know-if-a-continuing-healthcare-assessment-should-be-done/ Remember that Continuing Healthcare funding does not depend on any specific diagnosis; instead it looks at the whole picture of need. The funding also has nothing to do with you mother’s money – it doesn’t matter how much she does or doesn’t have. The only way to know if she would be eligible for Continuing Healthcare is to get the assessment process started. 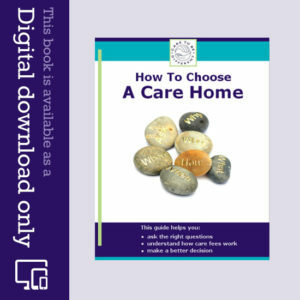 This will also help you: http://caretobedifferent.co.uk/getting-the-nhs-continuing-healthcare-assessment-process-started/ Whoever told you you have to sell the house at this point is either ignorant of the Care Act or is trying to put you off getting your mother assessed. The first thing that should happen – always – is a Continuing Healthcare assessment, not a means test. (2) But putting (1) above to one side, your mum’s house MUST be disregarded (the local authority (LA) has no other choice) for the purposes of funding her social care and accommodation costs. See Dept of Health’s publication “Charging for Residential Accommodation Guide – England” (google it) and refer to Section 7 and specifically paras. 7.003 and 7.007. The property must be disregarded because you – or your husband – and it doesn’t matter which it is – is over 60. I’d be inclined to pursue this as a matter of urgency (and before taking up the NHS CHC point) directly with the LA Director of Social Services. My mum’s checklist was completed on 9th August and the DST on 16th August. I have still not heard as to whether she will get any funding. I contacted the CCG on 18th September and was told that the nurse assessor was on annual leave. I e-mailed recently to find out if she is back yet and I still have no reply. It is now 22nd October. My mum was discharged on 17th August to a nursing home and is self funding at the moment. It seems that now she is ‘out of their hair’ the CCG are in no rush. Who can I contact to get a response? Lynn – if your mum was discharged from a hospital on 17th August, the NHS should be picking up the bill in the interim, until the funding decision is made. Send all care home invoices to the NHS Continuing Healthcare team and quote the Care Act. 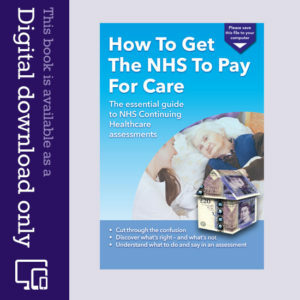 This may also help: http://caretobedifferent.co.uk/paying-for-care-between-hospital-discharge-and-funding-decision/ and so will this: http://caretobedifferent.co.uk/care-act-2014-helps-you-with-nhs-continuing-healthcare/ The assessment process is supposed to take 28 days max. If the NHS is delaying this, they must cover the cost of care in the meantime. I have at last heard that my mother will not receive CHC but FNC with effect from 17th August. Should they be picking up the complete cost from 17th August until the date I received the funding decision? I intend to appeal and have written to inform them if this. However I have now received a letter inviting me to meet with the CHC Clinical Lead to discuss my mum’s case before I appeal.